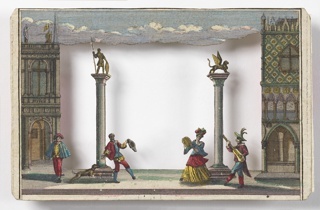 See more objects with the tag theatrical, costume, figural, figurine, color, craftsmanship. This is a Carnival figure. This object is not part of the Cooper Hewitt's permanent collection. It was able to spend time at the museum on loan from The Cleveland Museum of Art	as part of The Jazz Age: American Style in the 1920s. It is dated 1930. Its medium is glass. 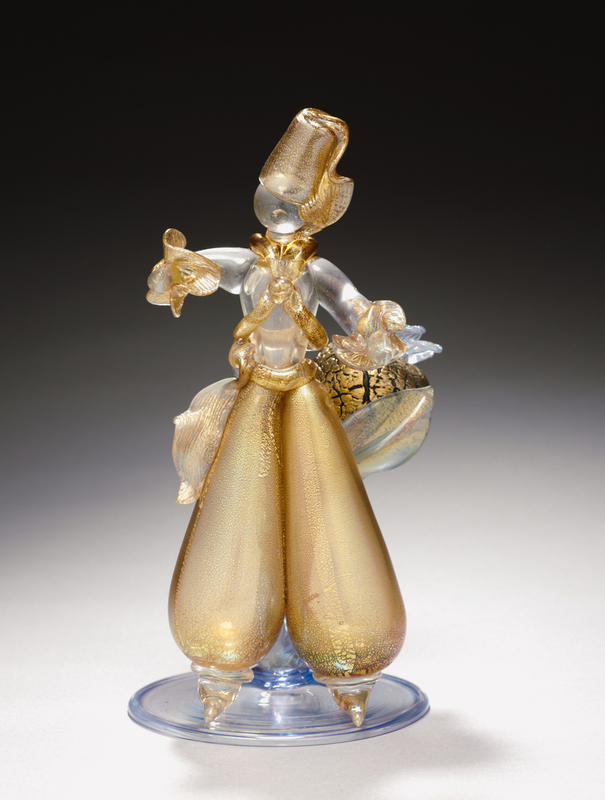 A former antiques dealer, Giacomo Cappellin joined Paolo Venini to form MVM Cappellin in Murano in 1921. 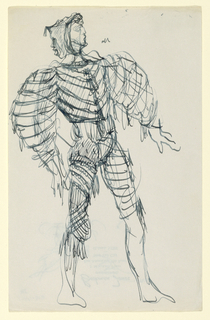 Cappellin continued the company after Venini’s departure in 1925, and with new artistic directors produced figures based on the carnival in Venice, using historic techniques. 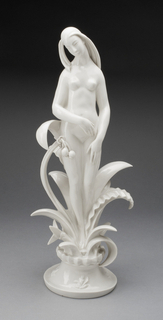 Seven Cappellin works were first shown in the US in Macy’s 1928 exposition. It is credited Lent by The Cleveland Museum of Art, The Mary Spedding Milliken Memorial Collection, Gift of William Mathewson Milliken, 1947.170.
engraving, brush and watercolor on white paper.